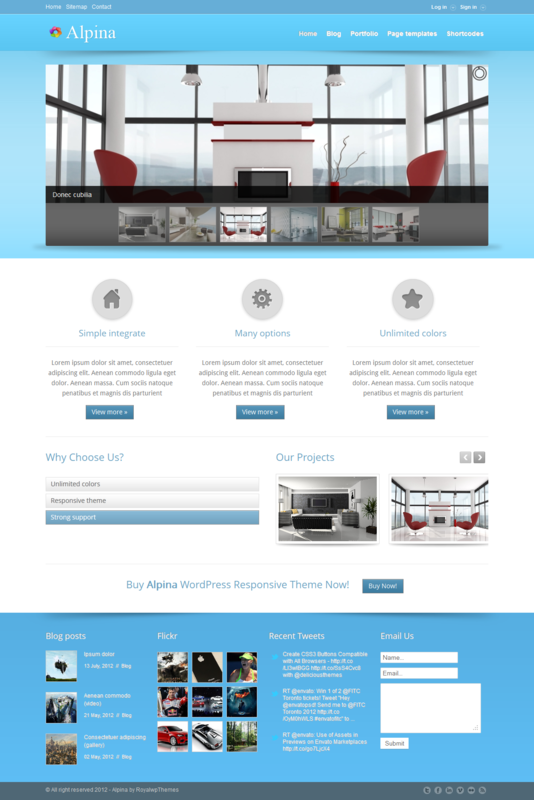 Alpina is a Business, Portfolio fully responsive WordPress Theme. 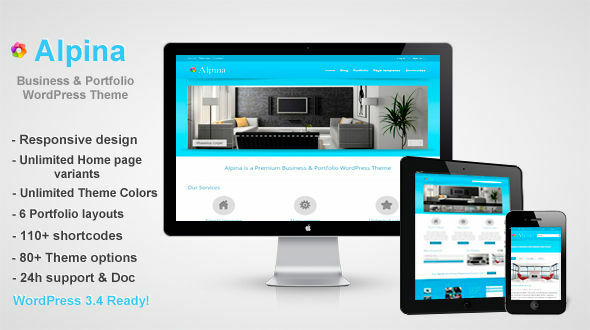 The main advantage of this theme is fully customizable theme colors, from theme options panel! 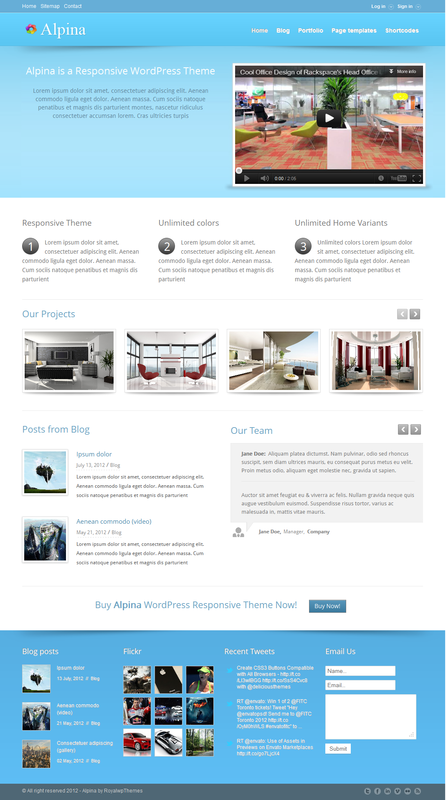 Also, the content of the main page is a custom, and is formed using large amount of theme shortcodes (examples of the main pages in the documentation) that allows you to adapt the theme for yourself and make it completely unique! 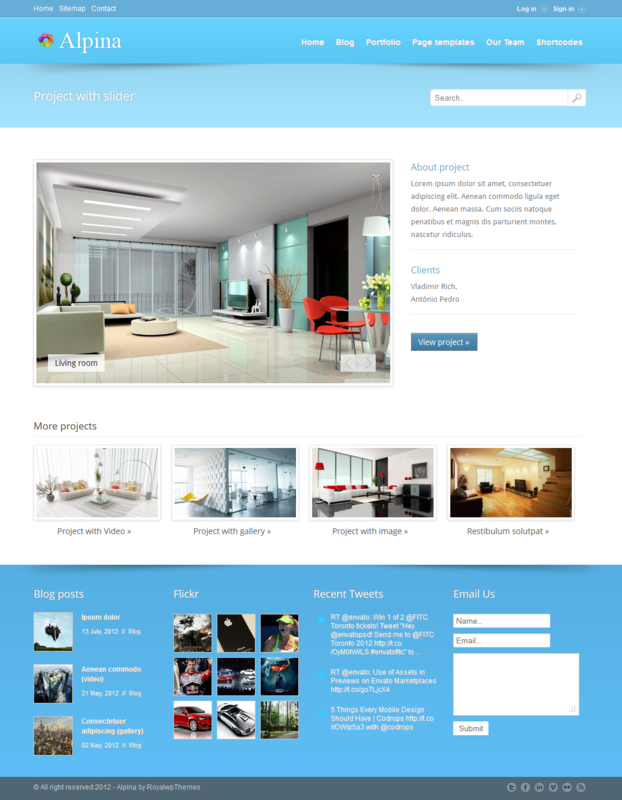 In the theme a lot of settings, which you can easily customize the theme, as you need, also documentation and support attached!